Onychomycosis is the most common form of tinea unguium, or as it’s more informally known, a finger or toenail fungal infection, manifests in two predominant types. It must be said, though, that there are other, relatively rare types of onychomycosis, but as only a tiny fraction of reported cases are of these other types, this article will deal with only the two most common. Also, since other ailments and conditions can produce similar symptoms, such as eczema, psoriasis, and pachyonychia (elephant nail), if you suspect you might have a fungal infection see a doctor to have the infected nail tested. If the tests do come back positive, odds are it will be one of the following two types of onychomycosis. By far the most common form of fungal infection. 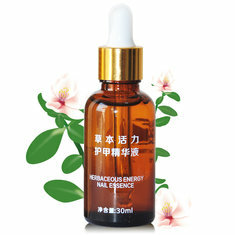 As with both types, this is caused by dermatophytes, a grouping of fungal species which feed, in cases of onychomycosis, on the keratin protein in the nail. Distal subungual onychomycosis primarily affects the nail bed, and, aside from being the most common, is associated with some of the more severe nail fungus symptoms. 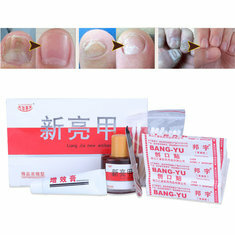 These symptoms can include yellow or greenish streaks beginning in the nail bed and spreading towards the tip; a general thickening of the nail; a brittle nail which can be become broken and jagged; severe discoloration; the buildup of nail and skin fragments under the nail plate; and, in some cases, the detachment of the infected toenail (or fingernail) completely. While less common than the distal subungual variety, this type still affects a large percentage of those suffering from a toenail infection. 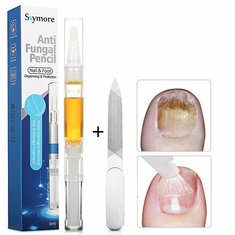 As its name suggests, white superficial onychomycosis refers to a fungal infection in, or on, the surface of the nail. While also caused by dermatophytes, the symptoms, due to the less penetrative nature of this type of infection, tend to be less severe. For one, the discoloration is less pronounced, with white spots or streaks instead of the yellow common in the other type. But even so, if left untreated the nail can begin to degenerate in much the same way. The surface can become soft, powdery, and crumbly to the touch. Fortunately, though, white superficial onychomycosis, however progressed, does not usually result in the nail detaching from either the skin beneath or the nail bed itself.